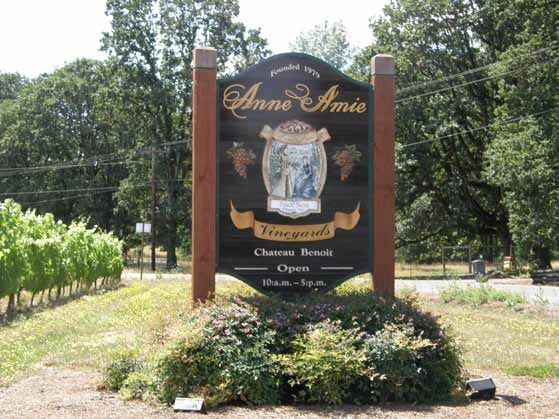 I met recently with Director of Winemaking Thomas Houseman at Annie Amie Vineyards located in the Yamhill-Carlton AVA on Mineral Springs Road. Thomas graduated from the enology and viticulture program at University of California at Fresno, and learned his winemaking working at Husch Vineyards in the Anderson Valley, Bleinheim Winery and Bell Hill Winery in New Zealand, and Ponzi Vineyards in the Willamette Valley. Along with Director of Viticulture, Jason Tosch, who also came from Ponzi Vineyards, the pair have transformed Annie Amie Vineyards into a world-class winery. 90% to 95% of the Anne Amie wines are now produced from estate fruit. All estate vineyards are certified LIVE (Low Input Viticulture & Enology) and Salmon Safe. The estate vineyards are located in the rolling hills adjacent the winery (Anne Amie Estate) and on the steep hillsides of the Chehalem Mountains (Twelve Oaks Estate). Most of the Pinot Noir is now sourced from the Twelve Oaks Vineyard situated at 660 to 820 feet elevation in the Chehalem Mountains which is planted to multiple clones on about 36 acres. All Pinot Noirs are fermented with native yeasts. 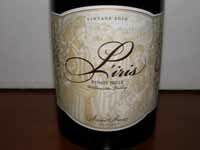 In the 2011 Pinot Noirs reviewed here, about 15% to 20% whole cluster was used because harvest was late and the stems were mature. All wines are unfined and unfiltered and bottled under screwcap. Thomas is one of the three winemakers participating in “The Cube Project” that began with the 2010 vintage. Thomas, Andrew Brooks of Bouchaine Vineyards in Napa Carneros, and Leslie Mead Renaud of Lincourt Vineyards in Santa Barbara County devised an experiment that compared winemaker technique with terroir. The three wineries picked 6 tons of Pommard clone Pinot Noir from their own vineyard in the 2010, 2011 and 2012 vintages. They divided the grapes into thirds, with each of the three winemakers processing 2 tons (about 120 cases) of Pinot Noir grapes. Each winemaker was responsible for picking decisions at their own winery and the grapes were picked on the same day so each of the three wines started on equal footing. Each winemaker crafted their wines from the two other vineyards in the same fashion as the wine from their own vineyard. The Cube Project was first presented at the World of Pinot Noir in 2012: www.princeofpinot.com/ article/1195/. For more information also visit www.anneamie.com/cube-project. Once the project is completed, you will be able to buy all 9 wines and decide for yourself whether terroir or winemaking technique are most obvious. 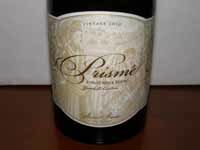 The 2010 vintage wines are now available on the Anne Amie website. 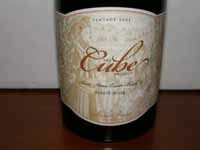 I tasted the three 2011 wines made by Thomas as part of The Cube Project. They were tasted blind the day the bottles were opened and re-tasted the following day. All wines were 100% de-stemmed and unfiltered, with varying oak treatment. The wines clearly showed their terroir and it was easiest to pick out the Oregon wine. Without tasting the other winemaker’s wines, I can’t comment on the effect of winemaking on the finished wines. Stay tuned as the project progresses.